I saw the yellow monarch climbing gingerly over blades of grass in our back yard, it’s torn wing catching on each blade as it made the unending journey to the side of the yard. 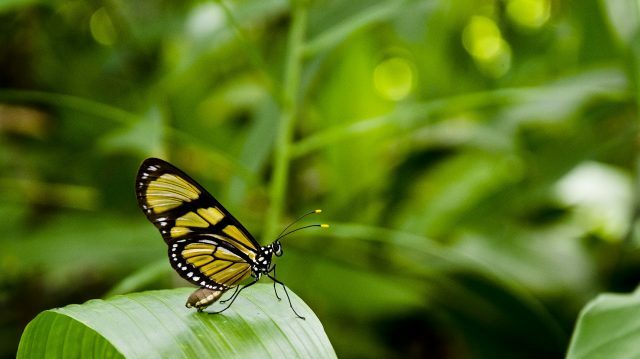 As incredibly beautiful as butterflies are, they are equally fragile. It happened over a year ago, and yet I can recall that spring day as if it were yesterday. Our cat most likely attacked it, as she was known to be quite successful in her attempts to catch winged things. I gently explained to my boys that we needed to help the hurt butterfly, and they needed to stand back, as I began researching on my phone how to help the insect best. The wonders of the internet told me that I could, in fact, mend its torn wings with tape and a lot of patience. I was willing to try. I gathered it into a plastic box and brought it inside. It was clearly exhausted from trying to survive in the wilderness of a backyard. 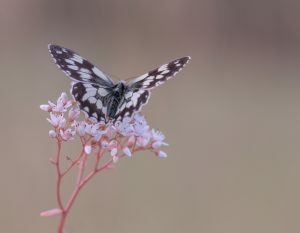 Butterflies were meant to spend their time flying, not climbing. I put sugar water in front of it, and coaxed it’s long tube-like tongue down into the liquid. It drank a little but continued to sit, stunned and tired. I cut the piece of scotch tape knowing that my efforts would most likely be useless. I carefully aligned the tape with the edge of its paper-thin wing, and pressed softly. My hands felt huge and cumbersome for such a delicate task. I then carefully cut away the excess, leaving the wing with no visible holes. From the moment I put the scissors down, I knew that my solution would not be a success. The monarch’s wing fell to rest at the floor of the plastic tub. The tape was simply too heavy, and the butterfly would not be able to fly with it. Tape was no replacement for a gossamer wing. Being the sensitive soul that I am, and wanting to shield my boys from the truth, I asked my husband to take the butterfly outside in the box, and then check on it the next morning before he left for work. I asked him to take care of it, if it didn’t pull through. I know this sounds silly to some- caring so much for an insect, but in those moments of coaxing this gorgeous creature to drink, and watching her struggle against nature to survive, I became invested in this tiny life, and hoped for a miracle. 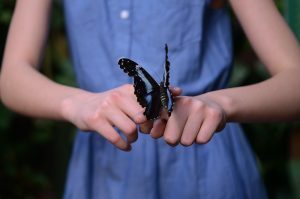 The next day my husband took care of the butterfly’s lifeless body, and I began thinking about what this experience had shown me. I came away with this: There are some things that only God can do. With all of the knowledge we’ve been given or work to acquire, the bottom line of it all is that some things in life cannot be explained by human minds or fixed by human hands. Maybe you’ve been given a diagnosis that has shaken your faith to its core. Perhaps you’ve been begging for healing, and the doctors have no answers to offer. Maybe you’re waiting for a job offer, and it’s looking hopeless. You might be fighting an internal battle that no one else can see, but God. Can I tell you something? He sees you. He hears you. He knows you. 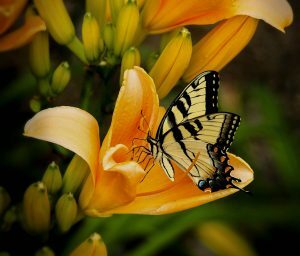 The very same God that dreamed a butterfly wing into creation, is the same God that knit you in your mother’s womb. He knows you so intricately, so intimately, that every hair on your head is numbered. You are personal to Him. You’re not a barcoded mass produced product. You’re his child. Human knowledge and effort will fail. We are flawed. We try to fly with our own taped wings, burdened by the weight of this world. He, however, never fails. His yoke is easy and His burden is light (Matthew 11:30). I urge you to seek Him first even in the things you think you can fix yourself. He wants us to go to Him first, in all things. Don’t wait until you’ve come to the end of your abilities to reach out to Him for His. He is able to do ALL things. Ask Him to work through you, for His purpose, and you’ll have the power of the One who created the universe guiding your hands and mind in this world. Butterflies aren’t meant to fly with taped wings, and you aren’t meant to depend on your own power. Your dependence on God isn’t weakness, it’s your greatest strength.